DLSB series low temperature Cooling Liquid Circulating Pump, adding circulating water pump on the basis of refrigeration. The new design is beautiful and the circulation system is made of stainless steel, with anti-corrosion, anti-rust, anti-cold liquid pollution and other functions. 2. If it is not specified as “explosion-proof” type, this equipment is not suitable in flammable and explosive workplaces. 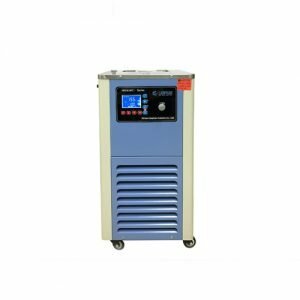 5.This equipment allows the working environment temperature range of 5 ° C ~ 30 ° C, humidity ≤ 85%, beyond this range will affect the safety and usage performance of the equipment. Note:If the explosion-proof Low Temperature Cooling Liquid Circulating Pump is needed, the price of the non-explosion-proof Low Temperature Cooling Liquid Circulating Pump shall be increased by 1000$. DLSB-5 series low-temperature cooling liquid circulating pump, also known as low temperature pump, low temperature circulating pump, low temperature cooling water circulating pump, water tank volume is 5L, min no-load temperature is between -15℃~-123℃, best environment temperature is 5℃~25℃. 1.The circulation system is made of stainless steel and has anti-corrosion and anti-rust functions. 2. Imported air-cooled fully enclosed compressor unit with advanced performance and reliable quality. 3. Digital display constant temperature display, microcomputer temperature control, simple operation. DLSB-20 series low-temperature cooling liquid circulating pump, also known as low temperature pump, low temperature circulating pump, low temperature cooling water circulating pump, water tank volume is 10L, min no-load temperature is between -15℃~-122℃, best working environment is 5℃~25℃. DLSB-20 series of low-temperature cooling liquid circulating pump is a low temperature liquid refrigerant equipment which takes mechanical forms to refrigerate. It has the function of providing a cryogenic liquid, low temperature water bath. 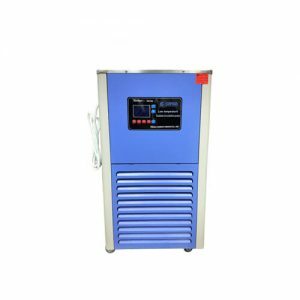 It can be combined with the rotary evaporator, glass reactor, vacuum freezing drying oven, circulating water vacuum pump, magnetic stirrer and other instruments to proceed multi-functional chemical reaction or store drugs under low temperature condition. 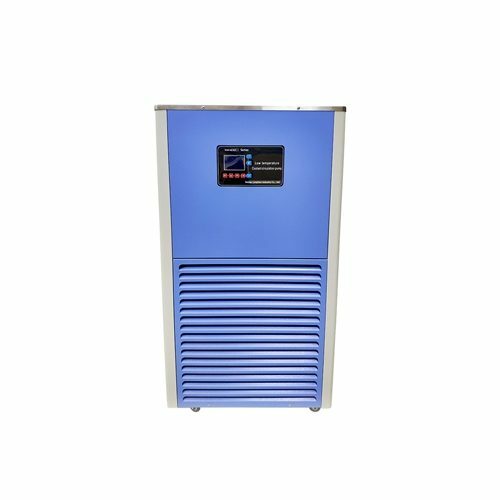 DLSB-50 series low-temperature cooling liquid circulating pump, also known as low temperature pump, low temperature circulating pump, low temperature cooling water circulating pump, water tank volume is 50L, min no-load temperature is between -23℃~-120℃, best working environment is -10℃~-120℃. The circulating water pump is added on the basis of refrigeration, which enables the cooled liquid to go through the pipeline for external and internal circulation. 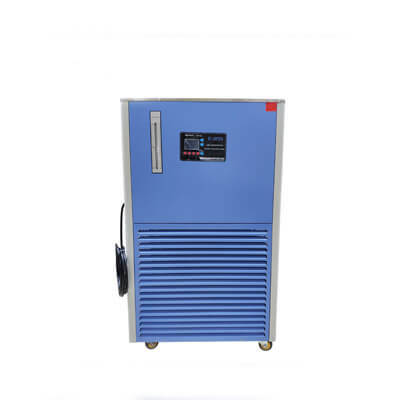 It can provide cryogenic liquid for external equipment such as double-layer glass reactor, organic synthesis device and rotary evaporator.It can be combined with the rotary evaporator, glass reactor, vacuum freezing drying oven, circulating water vacuum pump, magnetic stirrer and other instruments to proceed multi-functional chemical reaction or store drugs under low temperature condition. Rotary evaporator is mainly used for continuous distillation of a large number of volatile solvents under negative pressure conditions.In particular, the concentration of the extract and the distillation of the receiving liquid in the chromatographic separation can separate and purify the reaction product. 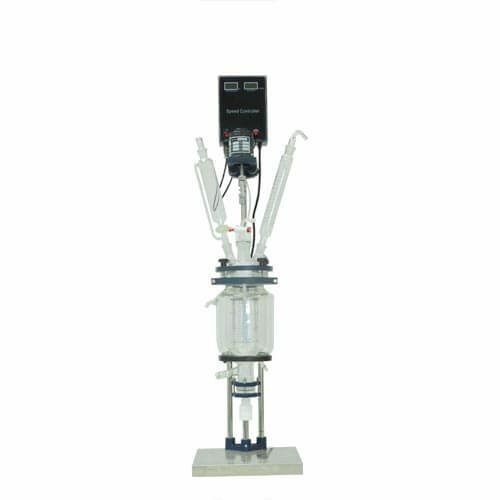 Glass reactor plays the role of reaction material in laboratory instruments and is often used in modern fine chemical industry, biopharmaceutical industry, scientific research experiment and other industries. The device has simple structure, small floor space, high evaporation and recycling efficiency. Mainly used in fractionation process.